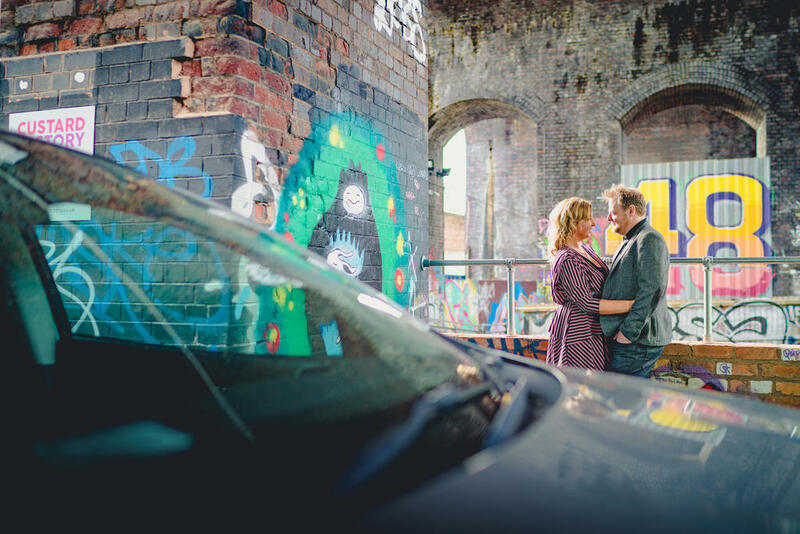 we are learning about all the cool spaces outside of manchester recently, so imagine our delight when we are sent this cool engagement shoot that was done in birmingham! We've not had the pleasure of visiting this area yet but its safe to say its on our list! Katherine and rob got engaged in the super cool marbella, spain! 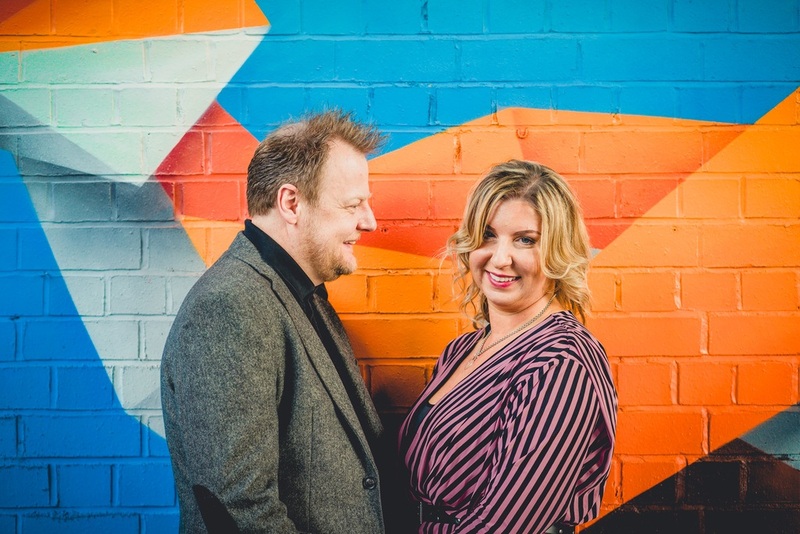 "it was totally posh" said katherine, "we had a meal at a private outdoor table and rob proposed with a tiffany ring, we then went onto party in puerto banus afterwards." Well its safe to say that we are totally jealous, marbella is absolutely stunning to start with but then to be proposed to with a tiffany ring, well that is one wow factor! 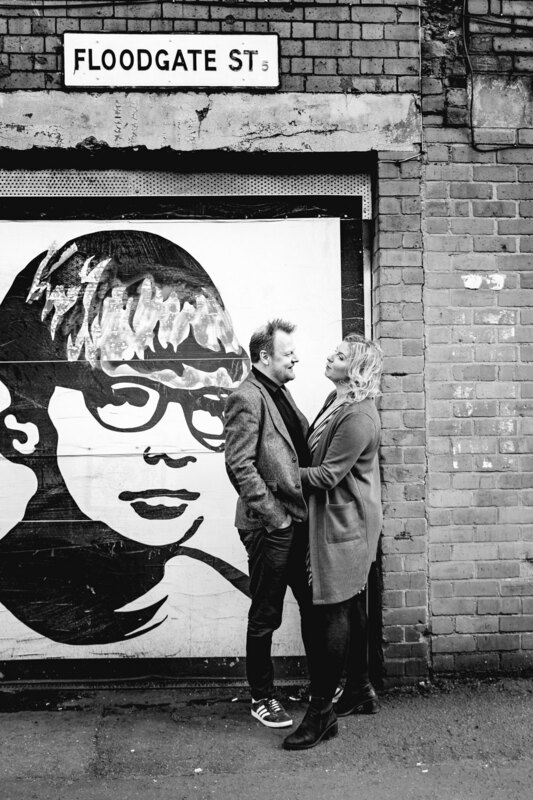 Katherne and rob decided to have their engagement shoot in birmingham, here's what they had to say - "We’re totally a city couple. 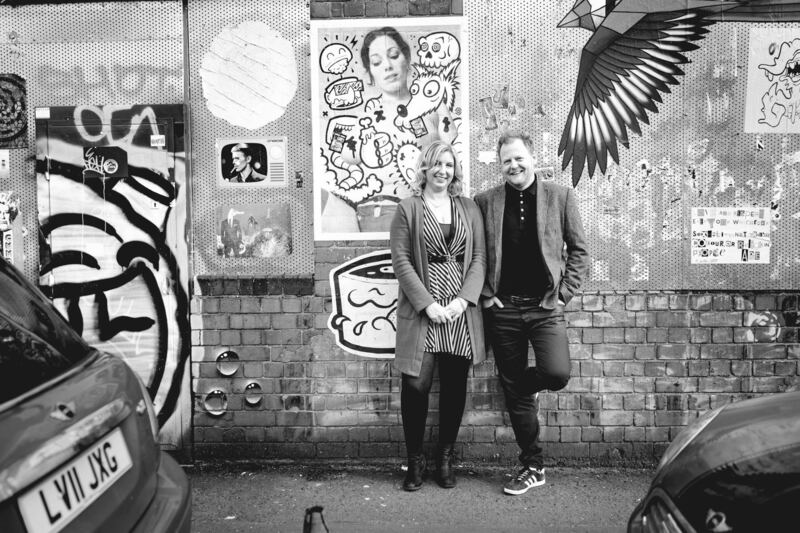 We love nights out wining and dining,enjoying the hustle and bustle of a vibrant urban city centre. 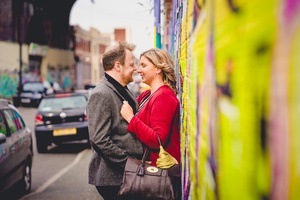 Our wedding venue is situated in a part of Birmingham centre call Digbeth." 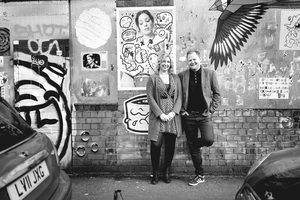 some great hidden locations, for lots of amazing vibrant backdrops. We absolutely love our photos, we couldn’t be happier!" 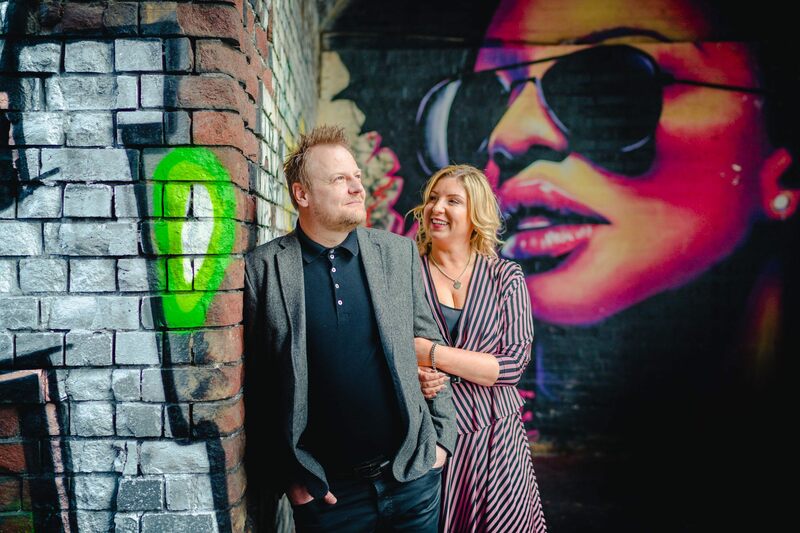 Well, we absolutely loved featuring this shoot it looks amazing! 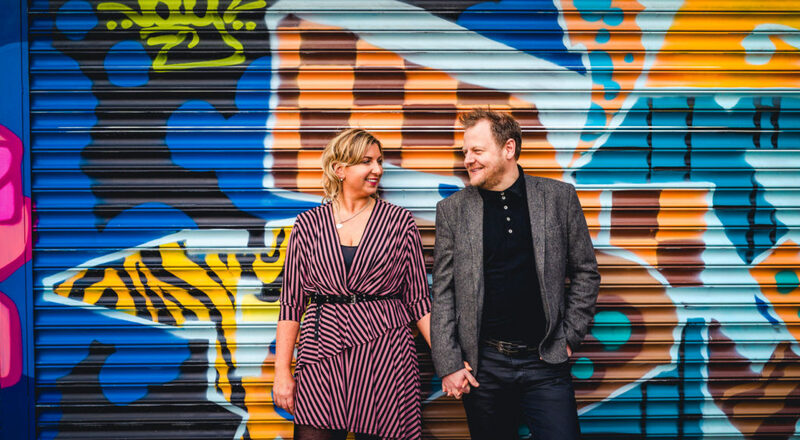 Katherine and rob were married on the 29th July 2018 at the Fazeley studios in birmingham, we are familiar with this venue and love it, so we're sure the wedding will have looked as cool as the engagement shoot!